Actor/comedian Jack Black and a host of celebrities will ‘ante-up’ at the “All-In to Win for Hope” No Limit Texas Hold’em Celebrity Poker Tournament on Saturday, October 29, 2011 at Commerce Casino in Commerce, California benefiting Renal Support Network and Love Across the Ocean charities. The celebrity poker tournament will award cash prizes. 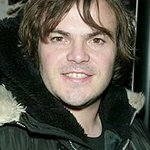 “We are excited to have Jack Black participate in our second annual celebrity poker tournament,” said Dale Wade Davis, event chairman and actor (“Shameless”). “On behalf of our tournament partner, Love Across The Ocean, we look forward to an afternoon full of entertainment and are honored to have Jack help us raise awareness about chronic kidney disease and the importance of organ donation, as well as the plight of refugee families.” Davis is a kidney transplant recipient from good friend, Phillip Palmer (ABC7 Anchor). Welcoming many stars from the Los Angeles area, the celebrity poker tournament is a fun-filled day that offers great prizes, a silent auction, raffles, a dinner buffet and a chance to mingle and compete against stars from various genres of the entertainment industry. “It’s going to be a great event. You get to play with celebrities, win cash and great prizes, all while helping out two great charities. It doesn’t get much better than that,” added Leyna Nguyen, president, Love Across The Ocean and KCAL9 Anchor. Other celebrities attending but are not limited to include Bart Johnson (“High School Musical”), Dennis Haskins (“Saved by the Bell”), Lauren Mayhew (“Guiding Light”), Rachel Kimsey (“Days of Our Lives”), Matthew Borlenghi (“General Hospital”), Phoebe Price (“Stanley DeBrock”), Joshua Fredric Smith (“The Road to Freedom”) and Michael Muhney (“The Young and the Restless”). Previous celebrity players have included Marc Brown (ABC7 Anchor), Phillip Palmer (ABC7 Anchor), Michael Cudlitz (“Band of Brothers”/“Southland”), Nadia Dawn (“Spring Break ’83”), Scott Elrod (“Men in Trees”), Rob Fukuzaki (ABC7 Sports Anchor), Stephen Furst (“Animal House”), Jackie Johnson (KCBS/KCAL9 Weathercaster), Paula LaBaredas (“Kelsey Grammer Bill Zucker Comedy Hour”), Camryn Manheim (“The Practice”), Christina McLarty (KCBS/KCAL9 Reporter), Alan Mendelson (Emmy-award winning business and consumer reporter) and Joe Reitman (“Legend of Neil”), among others. Participants who purchase tickets in advance receive a $50 discount. Rebuys will be available. All tickets include a buffet. Ticket proceeds benefit Renal Support Network and Love Across The Ocean and are tax deductible.